Get the right tires for your vehicle at the best price when you talk to our experts. Book Appointment BUILD YOUR TIRE PACKAGE HERE! Regular tire maintenance is one of the many ways of obtaining, and helping to keep, optimal vehicle performance. The main reason for deciding to get new tires is due to various levels of damage such as a flat tire or slow leak to excessive tread loss due to regular use. If you notice visible wear and tear you should change your tires as soon as possible to maintain the best control of your vehicle in all weather conditions. A slow leak may not be immediately noticeable until the dashboard alerts you to it; through regular inspects you will be able to fix the issue promptly, making for a safer vehicle with better fuel economy. Another reason many people get new tires is for improved performance or aesthetics. Many drivers in Canada prefer to switch to specific tires with higher traction for the winter months so that they can maintain control in icier conditions. Some drivers will upsize their tires to sit higher on the road for a better view, if not to simply personalize their vehicle. Regardless of why your vehicle needs new tires, Kelowna Toyota in Kelowna, BC is available today for all of your tire needs. Regular tire maintenance is an important part of keeping your vehicle in good working order and can make all the difference when the road conditions are slippery or worse. Inspect your tires regularly for damage or leaks, and keep them properly inflated at all times. 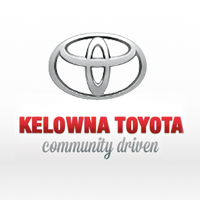 For all your new and current tire needs visit Kelowna Toyota and our staff will be happy to answer your questions and tend to your service needs. We are located at 1200 Leathead Road, Kelowna, BC, V1X 2K4 or call our expert Service Staff at (250) 491-2475 to make an appointment.